"I was driving on HY-99 Northbound at about 1PM wondering why traffic was so congested. 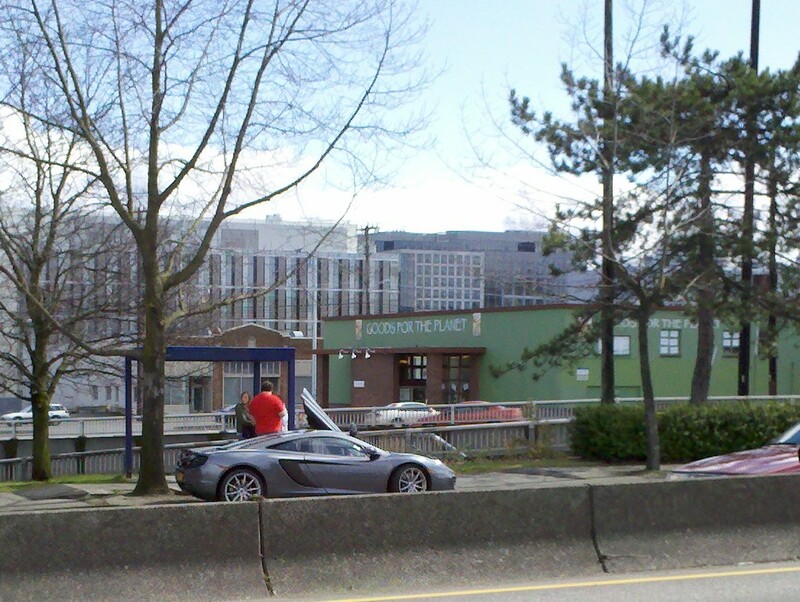 To my surprise I saw 3 Seattle Police cars and 2 DOT trucks behind a wrong way facing Mclaren. It turns out the rear passenger wheel was separated from the car. As unbelievable as this seems, at about 3:30PM, one of the software techs had it on a test drive and someone from the program came to my work and requested equipment to transport the car with only 3 wheels in their location. He also informed me that a Mclaren technician was dispatched immediately from overseas to tend to the car." The McLaren MP4-12C has been available since last year in Europe and was supposed to start going on sale early this summer in North America. Any cars spotted in America previously were owned and operated by McLaren as demo cars for dealerships, or press fleet cars for reviews. It will be interesting to see if this was a McLaren owned car, or one of the very first American delivered MP4-12Cs. Update #2 - The guys over at Jalopnik have found out about the crash as well. 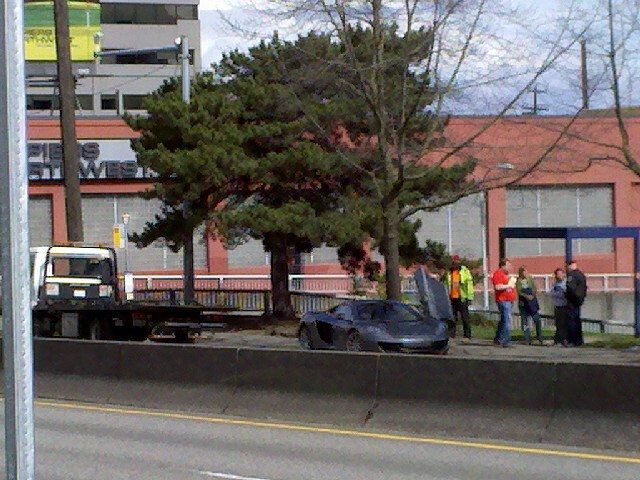 They received a picture of the McLaren on the flatbed from their tipster Dana. Please drop us a line at: TheDailyHoon@gmail.com if you have any information. Maybe the driver applied too many torques and the rim decided to jump ship...wait, there's no such thing as too many engine torques, it can't be that. Saw this, you can't tell from that angle but it didn't lose a wheel, all the wheels stayed on. No idea what happened though. Too much torque may have caused the rim to loosen up. It would be fun driving around Italy's fascinating streets.